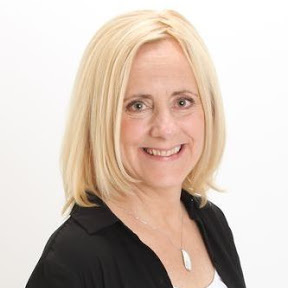 Adele Saccarelli-Cavallaro is the Founder/CEO of Teamwork Wins Ltd. She studied Elementary Education with a concentration in Speech Pathology and Audiology at East Stroudsburg University while playing intercollegiate Volleyball (1984-87). She landed her first teaching position preparing underachieving soldiers for basic skills in reading and Math in a Kansas prison (1988). Her second position was in Junction City, Kansas where she taught fourth grade in a public school (1989). She was the Head coach at Dominican College - Orangeburg, NY from 1992-1995. In 1996, Adele was employed by Career Consultants/The Thomas Group, where she recruited, prepared, placed candidates, for interviews as sales representatives negotiated contracts and managed a large customer base with major corporations. Today, Adele is part of the dynamic team that creates unique programs and trainings for an eighteen year old organization, a foundation for Awareness and Change called Teamwork Wins. Her personal story is located on the home page of our Teamwork Wins website. Lynn helps people build financial wealth by investing in real estate. Her passion is to assist homeowners with finding comfortable place to live in be that high end homes or a condo in town. To that end she works as a Realtor. She works to match people with living spaces that feel right or assist them in detaching from spaces that they have outgrown in one way or another. She has been a realtor since 1999 and has been associated with several different real estate companies. She now finds herself the Broker Keller William Real Estate. Gail has been a registered nurse for 39 years who serves as Program and Training Coordinator for Teamwork Wins, assists with fundraising and enjoys writing articles to promote TWW. She has used TWW’s FTC Method personally for many years and enjoys creating programs for TWW and working with TWW facilitators to assist them with their programs. She is married and lives near Reading, PA. She has 3 children and 6 grandchildren and enjoys bowling, Philadelphia Eagles, writing and art in her spare time. Teamwork really does WIN!! Thank you to our amazing TEAM over the past 18 years!